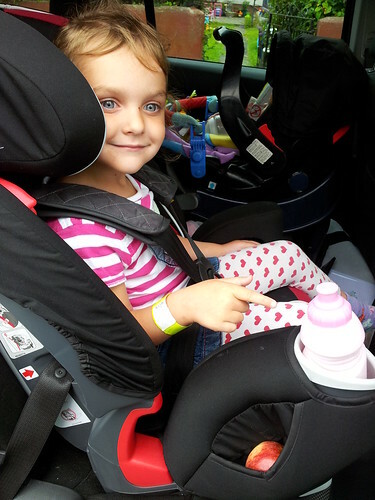 Caitlyn is three years old, so she tested the Graco Nautilus Elite Carseat at Stage 1 using the 5 – Point Safety Harness. This is how Isabelle will use the carseat. Isabelle will also use the padded body support – to provide comfort and extra protection for young children still in Group 1. 1. Thread the seat belt through the seat belt guide (marked by a red arrow) into the side of the seat. 2. 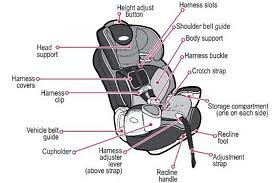 Pull the seat belt all the way through to the other side of the car seat, making sure that the seat belt doesn’t twist. 3. Buckle the seatbelt in. 4. Pull back on the seat belt then secure in the shoulder belt lock-off. It took no time at all. 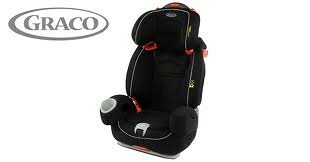 I then tested the security of the seat belt as advised by Graco. It did not move at all. It was very firmly and safely secured into place. The most secure one I have ever used to be honest. I then had to fit Caitlyn into the carseat. When, I first sat her in the car seat the Crotch Strap was too tight on her, so I had to whip the carseat out again, put it upside down and re-thread the buckle into the correct slot for her. It was no trouble at all. I then reinstalled the car seat. The “No Rethread Harness” is a really useful feature, which meant I could adjust the harness without having to re-thread it, therefore compromising the safety of the car seat. It was really easy to adjust the height of the carseat and the headrest to fit Caitlyn, making it the comfiest carseat she has ever sat in. I did find it tricky to do up the harness to start with, but after a few attempts it did become easier. It was very easy to adjust the harness to make it bigger, and to pull on the harness strap to make it tighter. The Graco Nautilus Elite has been designed in a very intuitive way which makes it second nature to adjust the carseat for the comfort of your child. 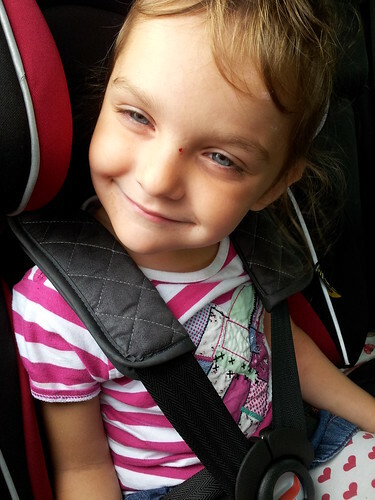 Caitlyn’s favourite features were the cup holder, as once she is in her carseat, she finds it hard to reach the car cup holders, and the storage pockets…I found lots of shells in these after a trip to the beach! She also loved the recline feature, for when she wanted to nap in the car after a long day out. Caitlyn now really wants a car seat like this, like Isabelle. Before testing this, she was begging me to be in a booster seat like her older brother and sisters, so I’m glad that seeing how comfy and fun this seat is has made her choose a safer option. Next Rebecca will test the carseat at Stage 2, you can see her review here. 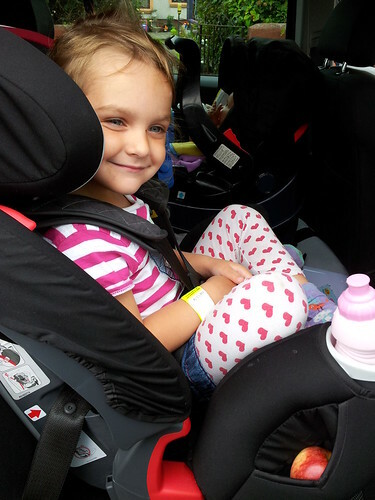 Previous Post Graco Nautilus Elite Carseat Review – Who will get to try out the carseat first?